Multi-Grammy-nominated thrash icons ANTHRAX will see "Kings Among Scotland", the band's long-awaited live-in-concert DVD, arrive in stores and online on April 27, 2018 (Megaforce). Captured last February 15 at the band's sold-out concert at Glasgow's historic venue Barrowland Ballroom, the two-hour "Kings Among Scotland" incorporates the band's entire live show along with interviews, behind-the-scenes footage and other B-roll shot on the band's tour bus, backstage, in hotels and elsewhere. The DVD will also include a "gear rundown" from each of the band members. 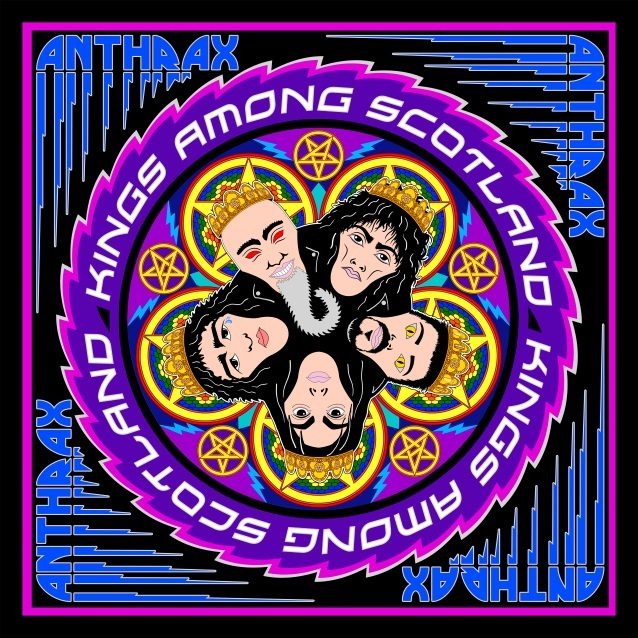 "Kings Among Scotland" can be pre-ordered starting today; log on to www.anthrax.com for all purchasing information. With packaging art created by Steve Thompson (SLAYER, MOTÖRHEAD, IRON MAIDEN), the DVD's concert is presented in two parts. 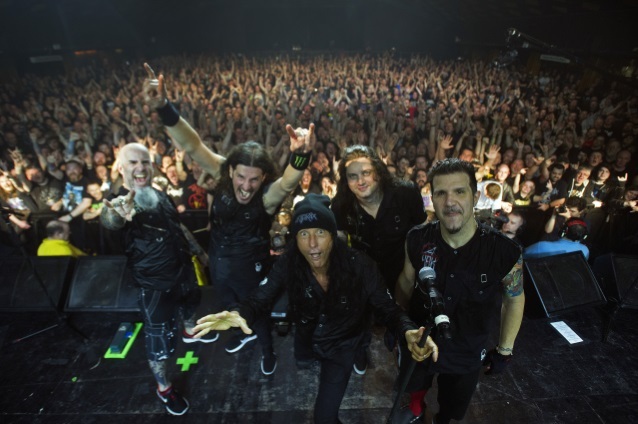 For part one, ANTHRAX perfomed the "favorites" that had been voted on pre-show by the band's fans and includes gems like "Madhouse", "Be All, End All", "Breathing Lightning" and "A.I.R." The band augmented the stage production for part two, with ramps and staircases and other production values while they tore into their classic 1987 album "Among The Living", performing "Caught In A Mosh", "I Am The Law", "Indians", "Eflinikufesin (N.F.L.)" and more. 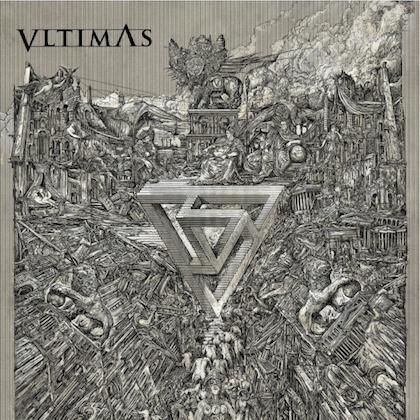 The release of "Kings Among Scotland" will be preceded by ANTHRAX's North American co-headline tour with KILLSWITCH ENGAGE — "KillThrax 2018" — set to kick off January 25 in Montreal.